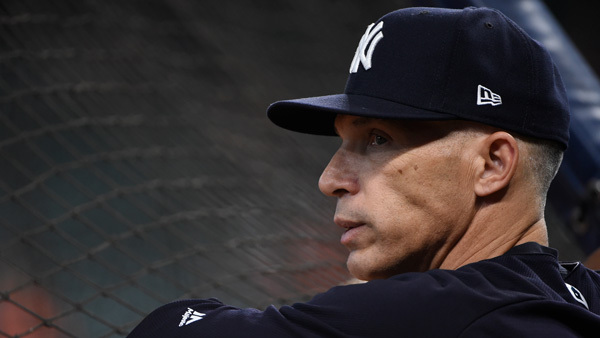 Joe Girardi's tenure as New York Yankees manager ended Thursday after a decade that produced just one World Series title for a team that expects to win every year. Yankees general manager Brian Cashman made the announcement five days after the Yankees lost to Houston in Game 7 of the AL Championship Series. "Everything this organization does is done with careful and thorough consideration, and we've decided to pursue alternatives for the managerial position," Cashman said in a statement. New York does not have an obvious candidate to replace him. The Yankees are the third of the 10 postseason teams to remove managers, joining Boston and Washington. A former All-Star catcher for the Yankees, Girardi was at the end of his contract and said last weekend he had to speak with his family before deciding whether he wanted to return. New York made the decision for him. "He has a tireless work ethic, and put his heart into every game he managed over the last decade," Cashman said. "He should take great pride in our accomplishments during his tenure." A three-time World Series champion as a player with the Yankees, Girardi succeeded Joe Torre as manager after the 2007 season and led New York to its 27th World Series title in 2009 but has fallen short each year since. The 53-year-old Girardi led a young squad on a surprising run to an AL wild-card berth this year with a 91-71 record, the team's best since 2012. New York beat Minnesota in the wild-card game, then fell behind Cleveland 2-0 in the Division Series. Girardi admitted he made a mistake not asking for a video replay review in Game 2. "I screwed up. And it's hard. It's a hard day for me," he said then. "But I got to move forward and we'll be ready to go tomorrow." New York won the next three games to advance, lost the first two games of the ALCS at Houston, then won three in a row to move within a victory of reaching the World Series for the first time in eight years. But the Astros swept the final two games. Cashman said he and owner Hal Steinbrenner had spoken directly with Girardi this week. Girardi's 910-710 regular season record with the Yankees is sixth in victories managing the team behind Joe McCarthy (1,460), Torre (1,173), Casey Stengel (1,149), Miller Huggins (1,067) and Ralph Houk (944).